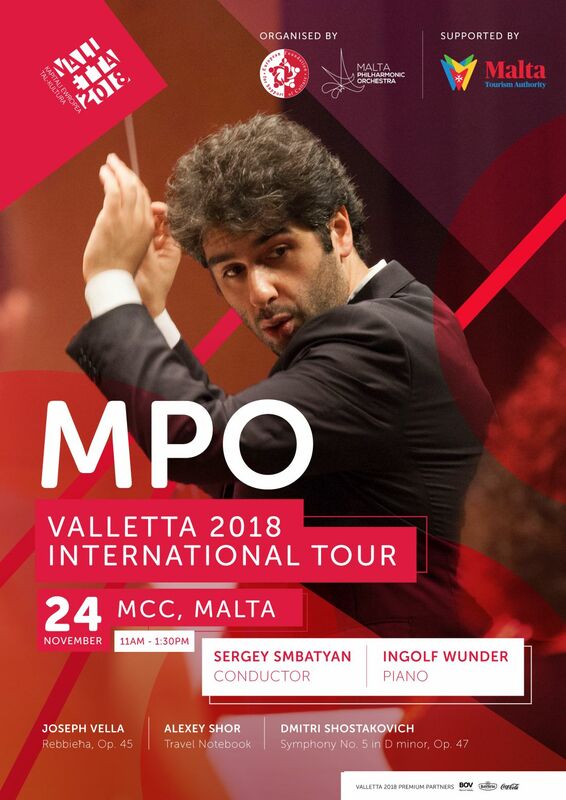 Before embarking on the VALLETTA-2018 International Tour around the USA and Russia Malta Philharmonic Orchestra will give a concert at the Mediterranean Conference Centre on Nov 24th, 11 am (Saturday)! Hurry up! Tickets are available now! The event is organised by the EUFSC and MPO and endorsed by Valletta 2018 – European Capital of Culture, supported by Malta Tourism Authority.